This is one of Pletnev's first discs, but it's new to my collection, so here goes. The Mussorgsky Pictures at an Exhibition is magnificent and occasionally inventive, with original pianistic touches here and there that add to the music rather than detract from it. Pletnev's touch is sure, his dynamic range is wide, and his sense of tempo and drama unfaltering. Pictures is a problematic piece for pianists, some of whom like to play it as if were an orchestral piece (it's not): think Richter (1958 Sofia), Horowitz, or in today's generation, Boris Giltburg. Pletnev doesn't do that, a strategy that is not always successful for other artists, but here is intriguingly appropriate given the genesis of the work. 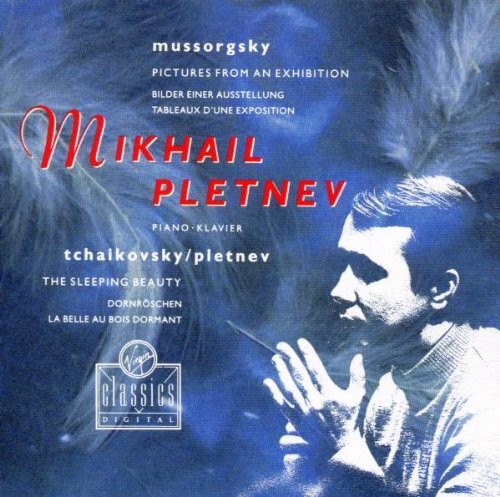 Pletnev also provides us with his own arrangements of music from Tchaikovsky's "Sleeping Beauty" which satisfy greatly. Thus, we have, IMHO, an album not to be missed. Five stars. Jiri Belohlavek and the Czech Philharmonic are a dream team in Smetana's signature work, Ma Vlast (My Country). This new recording compares favorably with Ancerl (1964) and Kubelik (1990), the latter a rousing live recording celebrating Czechoslavia's liberation from communism. The players in the Czech Philharmonic may have changed over the years, but the quality of their playing is still exemplary. Rafael Kubelik owned this work during his lifetime: luckily we have this exquisite example of Belohlavek's prowess made just before his premature demise (he was only 71) earlier this year. This is an extraordinary recording. Five enthusiastic stars! As did Vaclav Talich during his. Talich and the Czech Philharmonic recorded it twice for HMV/Electrola before the War and again for Supraphon afterwards. There have been many fine recordings of "Vltava" ("The Moldau"), Smetana's greatest hit, but I've never heard better than Talich/Supraphon in "Vysehrad." Thank-you, John. IIRC, Talich's recording of Ma Vlast was issued here on vinyl by the Quintessence label, and I hope I still have it somewhere. I looked around and yes, the Quintessence release is the 1950s Talich recording instead of the earlier versions on 78s. My own copy is on the low-priced Parliament label, and no doubt Quintessence did better with the recorded sound. Worth another listen if you can find it. Parliament had some excellent early releases from Supraphon that I picked up at a local store in the late 1960's for 99 cents. Included in those were my still favorite recording of Martinu IV (reissued on CD by Urania) with Martin Turnovsky, and the Khachaturian Piano Concerto with the opening tempo set just right w/Alois Klima on piano, the latter still available used on amazon also on Urania. 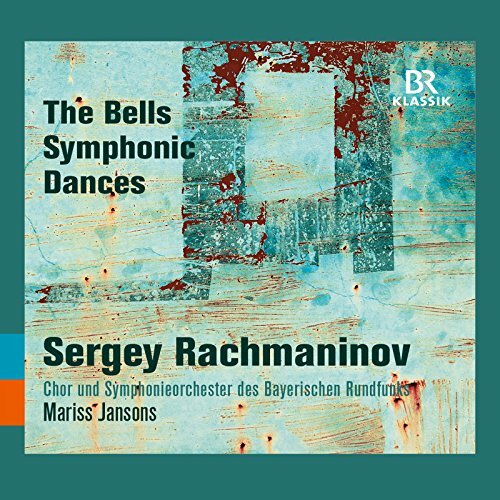 Rachmaninoff's "The Bells" receives 19 pages on amazon, so there was really no need for this new recording by Rachmaninoff exponent Mariss Jansons, yet, here we are, and a fine achievement it is. Oleg Dolgov's pure slavic tenor excels in his role, while soprano Tatiana Pavlovskaya and baritone Aleksei Markov provide outstanding singing as well. And let's not forget the fine-tuned choral work accompanied by the Bayerischen Rundfunks choir accompanied by their orchestra. Jansons has this music in his blood, and he also brings us a first-rate performance of the Symphonic Dances with one flaw: he lets the tam-tam stroke at the very end fade away, while in the score there is no LP marking, which indicates that it should be cut short, as Ormandy does in his definitive version of this work. There is also one tempo in Janson's interpretation of the Dances that I find too slow compared to Ormandy, but that's a quibble, as this is an excellent disc. Four and 1/2 stars. Jaap van Zweden has certainly found his footing in Wagner: all the notes are in the right place, and his tempi are spot-on. There is, however a blandness about his music-making that leaves me wanting more electricity, more fire-in-the-belly, which is sorely lacking here. The singers (flown all the way to Hong Kong for the occasion, I'm sure!) sound thin and lacking in depth. Simon O'Neill handles the notes OK, but his voice is too thin for the role of Siegfried. The Mime, David Cangelosi is a reedy tenor who gets the basics right, but that's about all. The Alberich is forgettable (Werner Van Mechelen). The Forest Bird (Valentina Farcas) is quite lovely. The Erda (Deborah Humble) again lacks depth and has a pronounced wobble on certain notes. Finally, we get to the Wanderer, Matthias Goerne, who is the one great singer in this cast, and why I give this as high a rating as I do, for he's quite wonderful, with a rich darkness to his voice that perfectly embodies the mature Wotan. All in all, not a failure as a recording, but worth a visit just to check in on Van Zweden's progress, and to hear Goerne's Wanderer. It's a live recording, but not a peep from the audience and no applause. Three and 1/2 stars. I'll be hearing Zweden's Bruckner 8 with the New York Philharmonic next month, the first time I'll hear him in anything. The Dutch have a long and strong tradition of Bruckner performance - I learned the major symphonies from van Beihum and several others from Haitink - so this seems worth taking a chance on. One of my favorite symphonies of all time! Please let us know your thoughts on the performance, John. I hope you enjoy it. Szell/Cleveland and Giulini/Vienna are my touchstone performances of that symphony. Van Zweden should at least lead a disciplined performance: we'll see if he has any depth. He's only just recorded all of Bruckner in the Netherlands (well-received on amazon), so I doubt there'll be a new release from NY. I learned the symphony from van Beinum and the Amsterdam Concertgebouw Orchestra and that recording remains a favorite. Van Beinum takes what I'd call a Beethovenesque approach, with the first movement brisk and dramatic; also he uses the Haas edition which I think is better if less musicologically scrupulous than Nowak's. 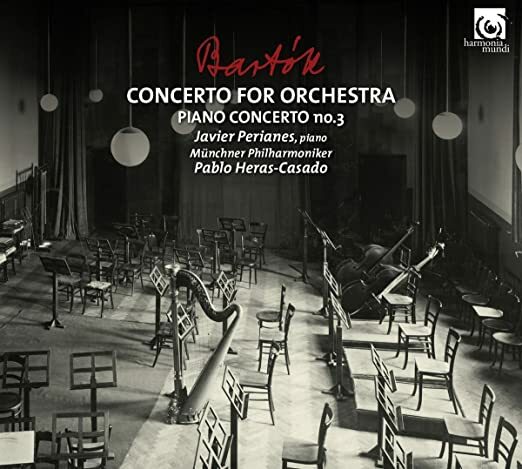 Conductor Pablo Heras-Casado has made quite a career for himself under my radar, along with pianist Javier Perianes, who has quite a discography ranging from Schubert to more modern composers. Both artists are excellent in their Bartok disc released earlier this year with the Munich Philharmonic. Perianes and Heras-Casado search for and bring out the lyric beauty in Bartok's last work, his Third Piano Concerto, while conductor Heras-Casado manages the sparkle and energy in the Concerto for Orchestra as well as did Reiner, Ormandy (RCA) or Boulez (Columbia). Truly a fine reading of both pieces, with depth of feeling and spot-on tempi. Five stars! 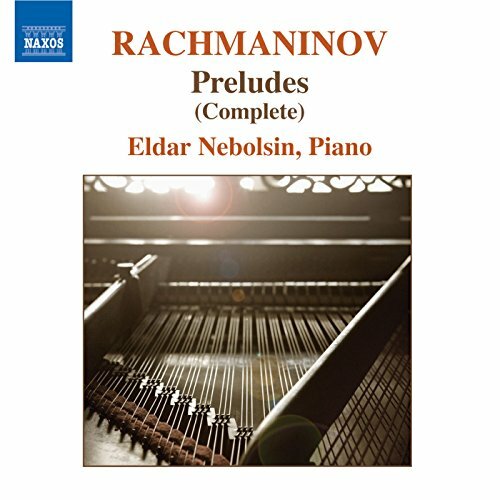 Eldar Nebolsin is a pianist who has flown under my radar for more than a decade; as this 2007 release clearly shows, I've been missing some extraordinary pianism. This disc of Rachmaninov's complete Preludes is filled to the brim with stunning playing, with depth and virtuosity that bring out refinements and emotional depth I've not heard since the previous generation (Richter, Horowitz and Gilels). This is a seriously outstanding recording, with superb piano sound recorded by Naxos in the U.K. Don't wait: if you love great piano playing, this is one of the finest recordings I've recommended this year. Better late than never! Five enthusiastic stars. I wonder if he's related to the conductor Vassily Nebolsin, chief conductor at the Bolshoi and of many Russian operas on Melodiya from the mid-1930s to the mid-1950s. It's not that common a name, I believe, but the Wikipedia article doesn't say so. Neither do his bio notes to the album indicate any relationship with Vassily Nebolsin. He was born in Tashkent, has had an extraordinary international career, just not consistently at the very top tier. He got his start by winning competitions in Tbilisi (at 12!) and Prague (at 14!). 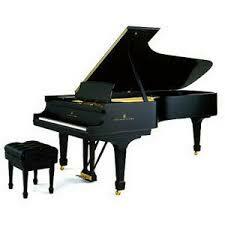 He has played with the NY Philharmonic, and in Minnesota, Baltimore, Chicago, Montreal and St. Louis in North America. He has also appeared in Australia. When not concertizing, he gives lessons in chamber music playing in Madrid together with Ralf Gothoni, Menahem Pressler and Bruno Canino at the famous Escuela Superior de Musica Reina Sofia. Truly an international artist. Having grown up with Ormandy's Church Windows as a demonstration LP for my stereo, I can support the enthusiasm of those reviewers on amazon who praise this new recording for its sound quality. Unfortunately, Maestro John Neschling fails, IMHO, to live up to the electricity, passion, and sheer weight of the Philadelphians under Ormandy, which I still recommend. OTOH, the Trittico Bottecelliano is played by the Orchestre Philharmonique Royale de Liege with appropriate tenderness, and The Sunset (Il Tramonto) (inspired by a poem by Byron) is sung more than adequately by the lovely if not compelling soprano Anna Caterina Antonacci. 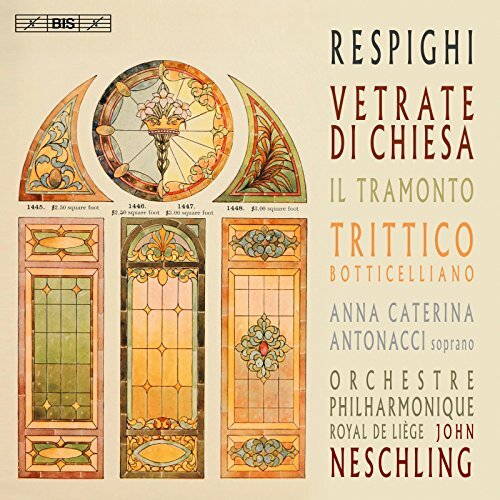 All in all, a welcome finale to Neschling's complete recordings of the orchestral music of Respighi for the Bis label. Four stars. Philippe Jordan is the well-known son of conductor Armin Jordan, and he has established himself as a fine conductor in his own right. Curious about his new Beethoven cycle on modern instruments, I was recently gifted the above disc, as well as a disc of III & I. 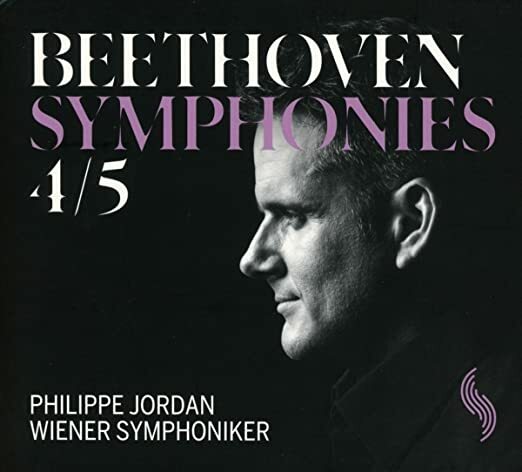 Expertly crafted with the Vienna Symphony (as opposed to the Vienna Philharmonic), I was pleased to note that Jordan not only follows the tempi in the score faithfully, but draws crystal-clear and committed playing from his orchestra with depth and excitement. I can find nothing to critique in this outstanding but obscure disc, and welcome it onto my shelves. Five stars. Karen Walwyn's "Reflections on 9/11 " Albany cd posted about here earlier. The Naxos cd pairing the Grieg Piano Sonata and Grieg Cello Sonata posted about here earlier. The Naxos cd pairing the Walton Viola Concerto and his 2nd Symphony. 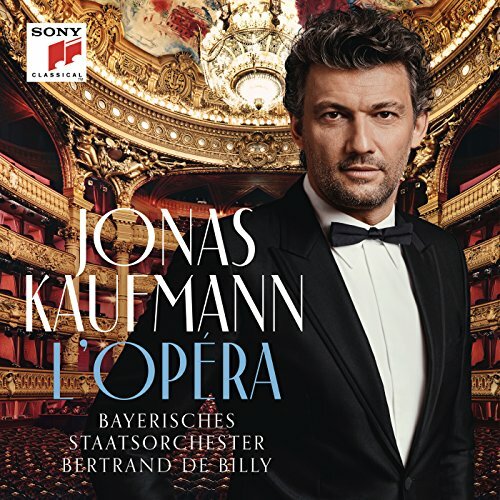 Jonas Kaufmann is a consummate artist, whose career has blossomed over the past decade or so into superstardom. His is a voice that can sing nearly every role or art song imaginable: he has the finesse to successfully deliver a Strauss or Mahler song, or nearly every role you can imagine in Verdi or Puccini. Yet the question always haunts me as to whether he should sing, say, Romeo, or even Werther. Even though he can sing the notes with distiction, and looks the part, doesn't his baritonal quality preclude this repertoire? The momentum of Kaufmann's career clearly answers "no," but I have my doubts. At any rate, he is a great artist, with great musicianship, and I'm here typing at this computer. Conductor Bertrand de Billy is a wonder, and a fine exponent of French Opera (He got his start here in NY mounting his own concerts of rare French operas and ended up at the MET: quite a career.). He leads the Bayerisches Staatsoper in refined, sensitive playing, with exactly right tempi. All-in-all, I give this CD three and 1/2 stars for repertoire, and five stars for musicianship. 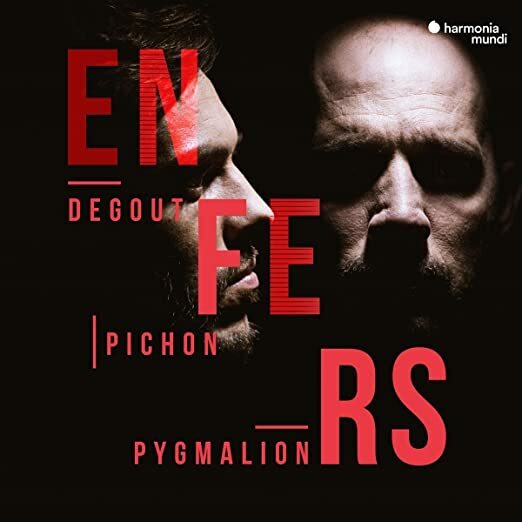 Enfers (Hells) is a superb vehicle for the French baritone Stephane Degout, backed by Pygmalion and discovered by the fine Baroque conductor Raphael Pichon. The album is an unqualified success, featuring the participants in scenes by Rameau and Gluck, in outstanding performances, beautifully recorded by Harmonia Mundi. In fact, this is all that needs to be said here. This disc is not just for fans of the Baroque, but for those who seldom dip their toes into these waters, it makes the case for the depths of drama and beauty that are rarely explored in Baroque music. Not an album for the faint of heart, some scenes literally explode from your stereo, while others radiate an otherworldly peace into your soul. Heartily recommended for all listeners with five enthusiastic stars! Boris Giltburg is an outstanding pianist that I've been following with interest, and his solo Rachmaninov has previously been very fine. That said, I didn't care for his interpretation of the Second Concerto, a dislike which I blamed on his conductor, Carlos Miguel Prieto. 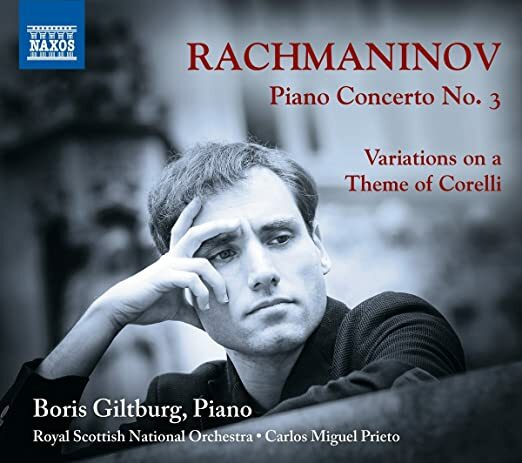 Here, in this latest recording of Rachmaninov III, conductor and pianist seem to have finally reached an understanding, and the results are much better. There is finally a sense of tempo flowing through the piece, rather than in disjointed segments as in this partnership in the Second Concerto. Also, the RSNO plays with real feeling, as if they're enjoying the experience. Not quite as electric an interpretation as I'd like, with attention paid to lyrical beauty rather than discovery. The Corelli Variations that fill out the disc are played with true depth of feeling and a sensitive touch. Four & 1/2 stars for the Concerto, five stars for the Corelli. An update on my near-complete Time-Life Great Men of Music LP sets. Off of ebay I got, at an attractive price, two brand new, unopened sets, the Wagner one (which I hadn't yet got), and the Mendelssohn (to replace the crappy-condition copy I got off of discogs.com). Now, it's all down to just getting the Puccini volume...I'm considering it purely an optional thing as of now, beings he isn't one of my faves. Have had one for a long, long time, bought it in Toronto - and totally agree here. Outstanding disc. Since those Virgin days [I've got 18 of his discs on the label), he has gone on to work with DGG, EMI, and RCA, with a couple items on British Decca and Philips. He had a problem awhile back (in the realm of all those problems people seem to be having! ), and I don't hear much about him these days. He also does considerable conducting. Greetings, greetings! I haven't seen you here for awhile though it is near impossible to check everything! Glad you are here. 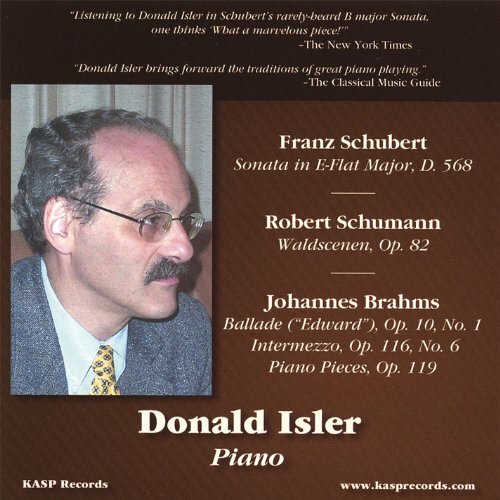 Donald Isler proves himself to be a fine interpreter of Schubert, Schumann & Brahms in this excellent recording. His playing has both depth of feeling and clarity, plunging the depths of these three composers. Clear and concise, Isler's music-making never sounds cloying or inappropriately sentimental, yet he gives us a moving performance that satisfied these ears. 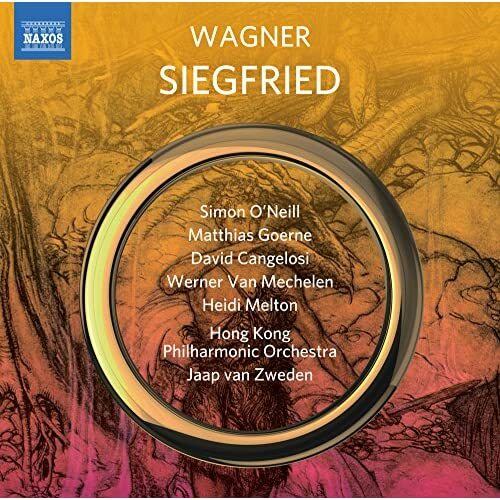 I will return to this disc often, while remembering Isler's teacher, Bruce Hungerford, whose performances have been issued by the same label. My one caveat is that there are no liner notes, just a single-fold insert with track listings. Four stars for the package, five stars for the playing. Has anyone else noticed that this thread has passed the half-million mark in number of views? Should we start a magazine?? Lately, I have become interested in the music of ANTON EBERL [1765-1807], the Viennese composer. There are already a number of CDs of his music available and I have acquired a number of them. Anybody else know that name? From his dates, he was a contemporary of both Mozart and Beetoven. My kind of composer. YouTube has a couple of symphonies and piano concertos by him, and now that my new computer and Windows 10 can play YouTube clips, I'll check him out. 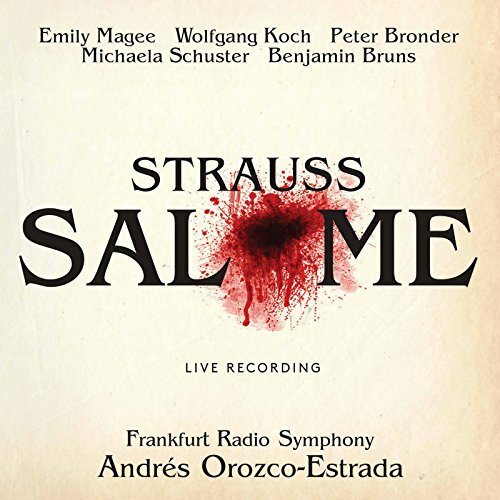 Everything is right about this Salome from the Frankfurt Radio Symphony but the tenor, who sounds old and wobbly throughout. Conductor Andres Orozco-Estrada's mastery of the score is evident in his choices of tempo, orchestral color and palette of effects, especially in the well-known dance and final scene (Emily Magee is a stunning Salome). Truth is, even with a wobbly tenor, this is a magnificent recording and well worth the price (Bring back Jon Vickers!). I've heard this set twice and found it very rewarding, but for those who demand perfection, this is not for you. The drama that comes across here is done with very effective music-making, and the set is worth the price if only for the riveting finale. It's a live recording, but you could hear a pin drop in the pauses, and strangely there's no applause at the end. Four stars, only because of the tenor. 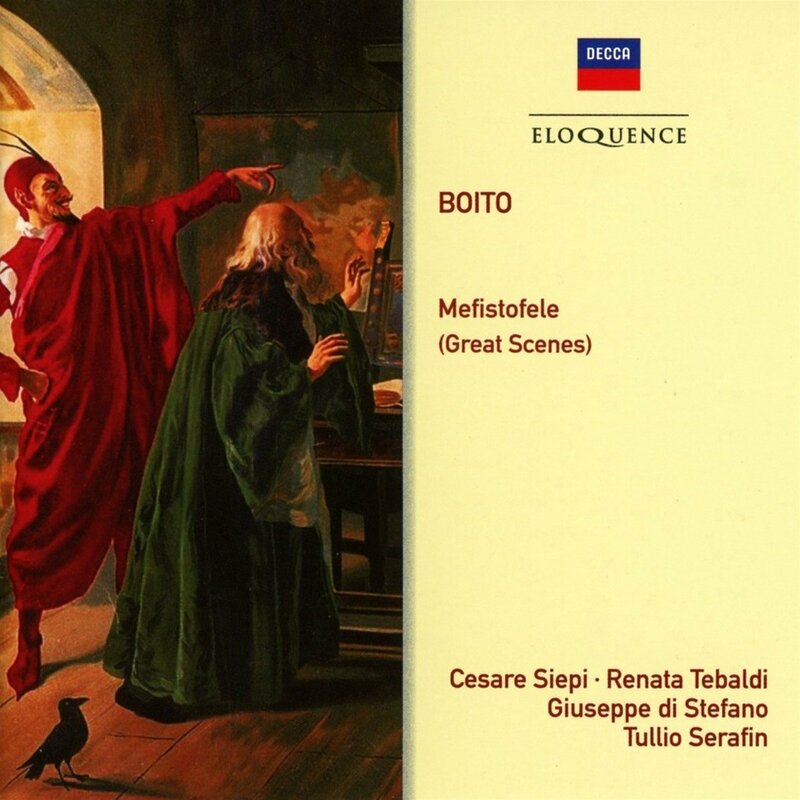 The tenor role, Herod, is sometimes cast with a character tenor like Gerhard Stolze, sometimes with a Heldentenor like Max Lorenz, sometimes with an unclassifiable tenor such as Julius Patzak in the standard-setting Clemens Krauss recording for Decca/London. I don't have a preference as long as he sounds nasty. Hah! I just realized I forgot to name the role! Yikes! Well, this Herod is indeed nasty sounding, so he might be to your taste. Far too few opera CDs are being issued these days: I'm assuming this was a concert version, so they didn't bother with visuals. All-in-all, this, IMHO, is a stunning performance. I don't have the Patzak and will have to get it. Thanks for the recommendation. Patzak was a fine lyric tenor in the '30s and '40s, but he sang heavier roles from the beginning (his debut was as Radames), character roles - he was Mime in Furtwängler's Italian Radio Ring cycle - and even operetta. He is the tenor soloist in Bruno Walter's recording of "Das Lied von der Erde) with Kathleen Ferrier and the Vienna Philharmonic. I can almost hear you tut-tutting about this, but he continued to sing leading roles at the Vienna State Opera into his mid-60s. One of my favorite Patzak recordings is of Strauss's "Ständchen" with the composer conducting, recorded for Bavarian Radio in 1944. A little different from Herod! Thanks for that, John. In a word, lovely! My first exposure to Das Lied von der Erde was Bruno Walter's 1960 stereo version with Mildred Miller and Ernst Haefliger, and it has remained my favorite ever since my teens. I came to the 1950 mono version in my 20's, and was disappointed by the singing, although Walter's interpretation was very much the same. To my ears, Miller and Haefliger were much better both technically and in expression. That's just my opinion, of course. YMMV. I note that in the recording you posted, Patzak sounds much more lyrical than in 1950, and he doesn't take the traditional stretch of adding an extra bar under the high note. This collection contains the 6 discs Milstein recorded for DG and 31 discs recorded for EMI, mostly for Capitol and some later discs that appeared on Angel. The box does not claim the EMI is complete. I came across this set (on eBay) while trying to determine whether Universal or Warner had the rights to the Capitol Records classical catalog. I can't say I'm sure who actually does, but this set was issued by Universal in Korea and the EMI Icon sets containing Capitol material (Milstein, Steinberg, Stokowski and Rabin for sure) are now OOP. So Universal may have the catalog and hasn't yet decided how to re-issue it (or if they want to re-issue it). The box is original jackets format, beautiful glossy paper on heavy stock. I've listened to 7 of the discs so far and the remastering is superb. The EMI recording of the J.S. Bach Sonatas and Partitas, recorded in 1954 and 1056, sounds like it could have been recorded this year. Milstein's sound was always beautifully captured going back to Columbia 78s. And so it is here. 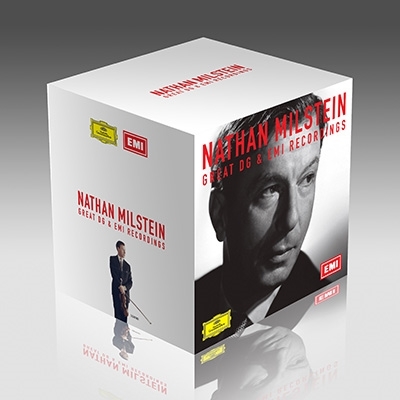 For me, Milstein produced the most beautiful violin sound on recordings. It wasn't cheap at $179 U.S. but shipping was only $3.00 and sturdily packaged (packages from Europe can arrive pretty beat). Violin collectors not aware of this coillection may wish to seek it out. The only weak part of that, unfortunately, is his attempt at an analysis of the actual music. Donald Francis Tovey or Charles Rosen he ain't. However, this is typical. I just also (finally) finished John Elliott Gardner's biography of Bach. (Incredibly, Gardner's family housed the famous Hausmann portrait of Bach when the Nazis were ruling Germany.) Biographically, it is slightly speculative but I believe it contains many insights. However, I skipped over huge sections in which he gives 19th-century style descriptions of the cantatas. I can figure that much out for myself, and have in large measure done so. One thing I did learn, though, is that there are many variants on some cantatas, or some variations on many cantatas (whatever) and the newer Bärenreiter edition which claims to be complete did not publish them. 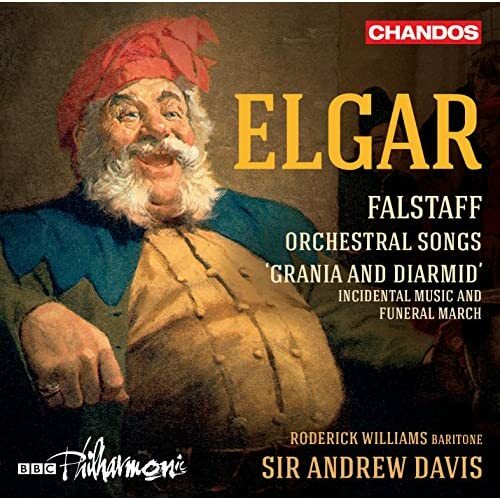 Conductor Andrew Davis is not one of my favorite musicians, but on this disc of Elgar rarities, Maestro Davis excels, with shaping and tempo choices that are spot-on. Falstaff may be the main piece here, played to perfection by the BBC Philharmonic, but the orchestral songs (Opp. 59 & 60) are expertly dispatched by baritone Roderick Williams, whom I've praised in these pages before. Sir Andrew closes the program with excerpts from "Grania and Diarmid," following up with more songs with Williams. All-in-all, a disc of early Elgar gems that you won't want to miss, expertly and sympathetically done. Five stars. This is an absolute gem of a disc. 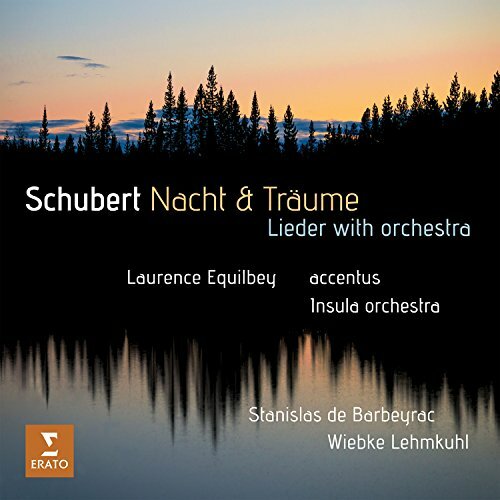 Conductor Laurence Equilbey has pulled together orchestrations of some of Schubert's best-known songs, arranged by Reger, Brahms, Liszt, R. Strauss, Britten and Berlioz and others into a fine disc featuring tenor Stanislaus de Barbeyrac and mezzo-soprano Wiebke Lahmkuhl. None of these fine artists were previously known to me, but that doesn't matter, because their artistry is on the highest level. The hand-picked orchestra provides deeply sensitive accompaniment, while the accentus choir provides excellent renditions of 3 songs as a bonus. What a pleasure, from beginning to end! Five stars. 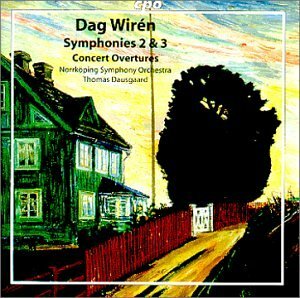 Conductor Thomas Dausgaard has at last taken on the other music of Dag Wiren, and is producing a fine series of CDs for the CPO label. Here we have two of Wiren's symphonies (II & III), stunningly played by the Norrkoping Symphony Orchestra, a crack ensemble if I've ever heard one. They play with energy and sympathy to the music expertly led by Dausgaard's clear and crisp direction: one can tell this is not the usual read-through of unknown music usually provided these days. I liked this disc, and you will too, as a guided tour through Wiren's output beyond the popular Serenade. Five stars. This is a thrilling disc! 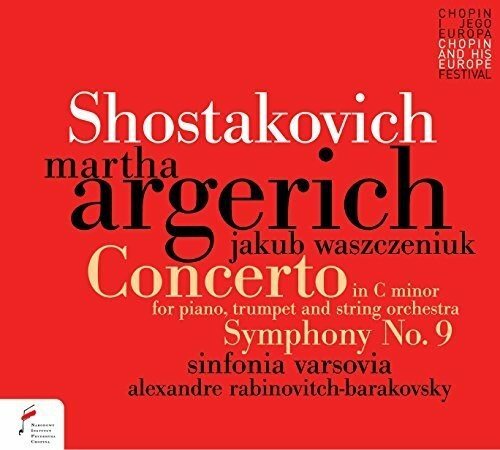 Martha Argerich is the obvious star here, of course, but this is a live recording of Shostakovich's C minor Piano Concerto as well as his Sixth Symphony, played to perfection with energy and verve by the Sinfonia Varsovia under the baton of a conductor new to me, Alexandre Rabinowitch-Barakovsky, who provides scintillating accompaniment to Argerich, and displays some well thought through pyrotechnics in the Sixth Symphony. If you love live recordings (as I do), this is not one to be missed! Five enthusiastic stars! Vikingur Olafsson was recently brought to our attention by Rach3 (Thank-you!) through a recent recital posted here, which impressed me enough to buy his most recent Bach CD. This is Bach playing of the highest order, sensitive and full of depth of feeling, with a variety of colors and dynamics to rival even Richter or Horowitz. 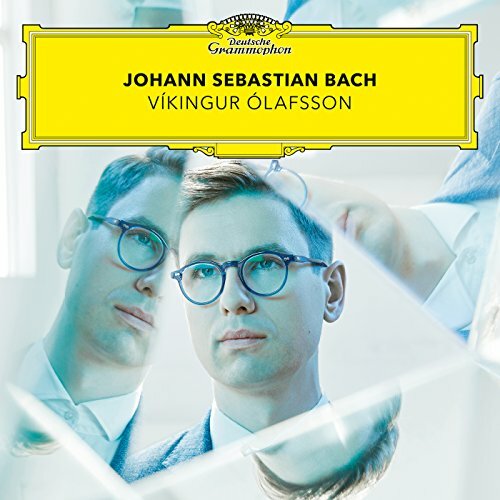 Olafsson has great maturity and is full of interesting ideas: every track on this disc shows individuality and a unique point of view: obviously, we're dealing with a major talent here just emerging from the mists of youth. Five enthusiastic stars! 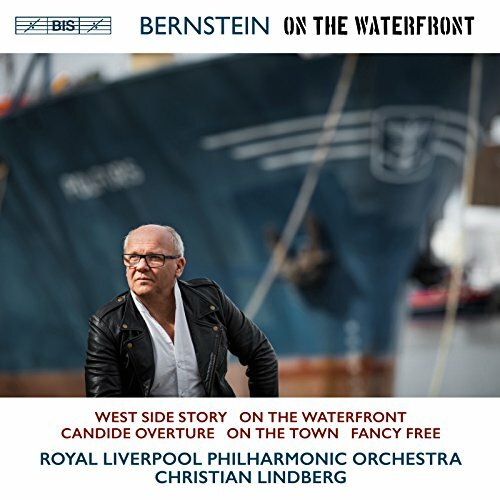 Christian Lindberg and the Royal Liverpool Philharmonic Orchestra must have had fun with this recording of Bernstein's effervescent and demanding Broadway scores. The Overture to Candide appropriately opens the album, followed by a dynamic set of dances from West Side Story, On the Waterfront, On the Town and Fancy Free. Bernstein's heartfelt scores jump out of your speakers with no holds barred: Who says that only Americans can play this music effectively! This, when Bernstein's own album has been deleted by Sony from its Amazon listing? This fiery album, while it cannot replace the composer's own, makes a fine alternative. Four 1/2 stars. Conductor Andris Nelsons was born in Riga, the capital of occupied Latvia, and mentored by the Latvian conductor Maris Jansons, both experiences giving him tremendous authority in the music of Dmitri Shostakovich. He was 13 when the Soviet Union fell. These recordings were produced and recorded by the Boston Symphony itself and licensed to DGG for release worldwide. The detail and depth of sound field in these outstanding readings made me jump out of my seat! 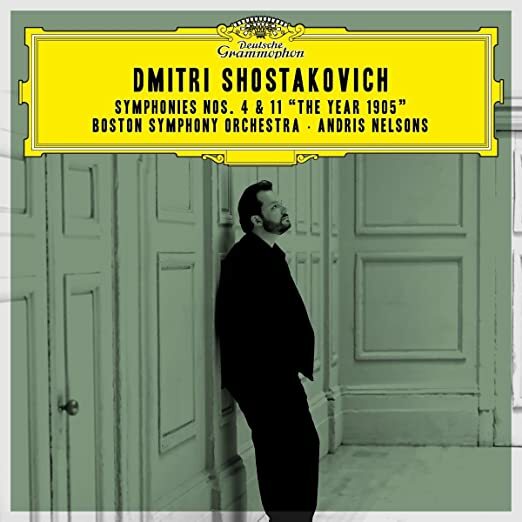 As the proud owner of both Ormandy's World Premiere recording of IV from the 1960's, Stokowski's World Premiere disc of XI (1957) and Kirill Kondrashin's fiery readings of both symphonies from that same era, I'm happy to say that with it's outstanding sound and electrifying reading by the Boston Symphony, this 2-disc set takes pride of place right next to these now historic renditions on my shelves. Nelsons and Boston together have produced a valuable document here for the XXIst Century. Bravi tutti! Five enthusiastic stars! Last edited by maestrob on Mon Nov 12, 2018 12:23 pm, edited 1 time in total. Nelsons probably wouldn't appreciate his birthplace being given as Soviet Russia. He was born in Riga, Latvia, an independent nation until it was forcibly incorporated into the Soviet Union during World War II; after years of large demonstrations and gradual loosening of the Soviet grip, it regained its independence when Nelsons was 13. Thanks for catching me on that! I've made the correction. Sloppy research! This is a stunning recording, both in sound quality and musically. Jansons has matured into a Bruckner conductor to rival Szell and Barenboim,without the mannerisms of Solti. 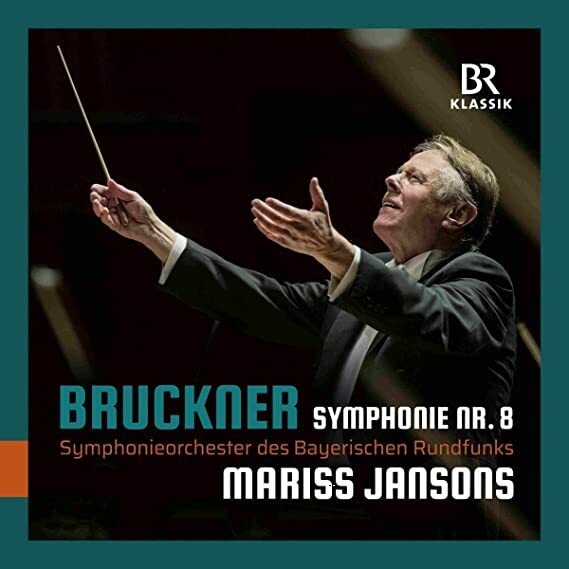 This is a straightforward deeply felt performance of Bruckner's final complete symphony, (Fassung 1890), played to perfection by the Bavarian Radio Orchestra (Symphonieorchester des Bayerischen Rundfunks). It's also a recording of a live performance, which makes it very special indeed, although you'd never know it until the very end when the audience erupts with grateful applause for such a magnificent performance. Five enthusiastic stars! Outtakes from the famous 1958 Decca complete recording, before del Monaco replaced Di Stefano who left the studio to get a cupacoffee and never came back. Wow! You know how to pick 'em! Some great material there. This is a fascinating release, more interesting than its cover suggests. I bought this expecting a great musical experience of Janacek's Msa Glagolskaja (Glagolitic Mass), but to my surprise, what I got was an experience of Janacek's original 1927 World Premiere score, a musically intriguing look at his original thoughts minus all the modifications Janacek made AFTER the premiere. What a jolt! The version that's been recorded since the early 1950's, I conclude, is infinitely better, just as Bruckner's revisions on his early symphonies (III & IV) are IMHO better than the originals. Janacek was a master craftsman, and he knew well what he was doing when he revised his earth-shattering Mass before publication. Now, the original parts and conductor's score from the premiere have been resurrected, and have been published in a new edition of the score, here ably conducted by Jiri Belohlavek and his Czech forces. The other items in this two-disc set (priced as a single), Taras Bulba, Sinfonietta, and The Fiddler's Child, are Belohlavek's last recordings made before his untimely death last year. A superb document in every way. Five stars! Thanks. It's great to know Greeley, Colo. had many classical music fans, thanks in no small measure to the Univ. of Northern Colorado.